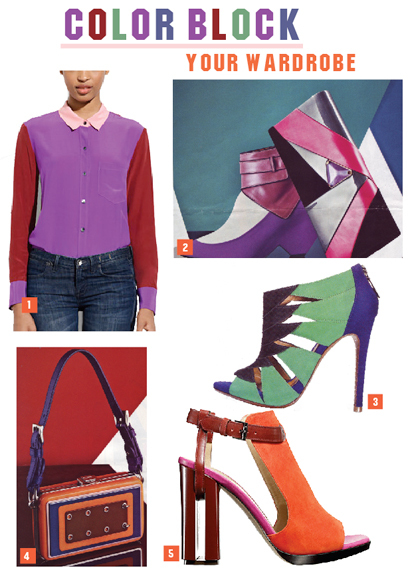 Trending: COLOR BLOCKING is now making a move to shoes and handbags. Shoes that are made of Suede fabric and blocks of color is the perfect transitional fall item. 1. Steve Madden Pumps. 2. Urban Outfitters bracelets. 3. Top Shop studded collar peplum tee. 4. Free People studded denim vest. 5. J Crew Skinny Belt. 6. Balmain Punk Suede Studded Bag. 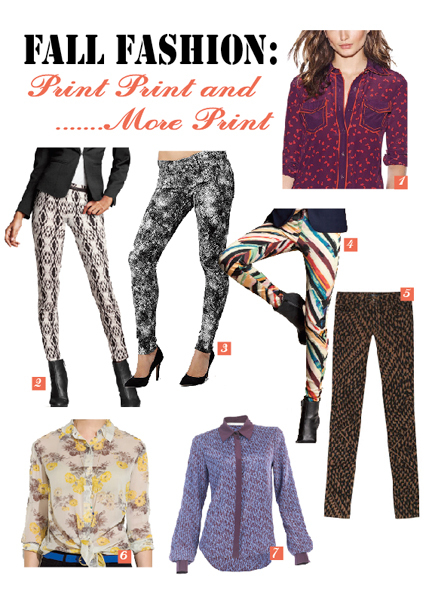 Fall Fashion: Print, Print, and more Print… The 2 hot items for PRINTS this season is Pants, from jeans to legging, and last season’s button-down dress shirts were solid colors but now bring on the PRINT! 1. Margee blouse by Tory Burch. 2. Stretch pants by H&M. 3. Black feather pants by Paige. 4. Stripe pants by H&M. 5. Skinny print jeans by Joe’s. 6. Silk flowerveil top by Madewell. Print top by Veronica Beard. 1. iPhone case by Kate Spade. 2. Glitter print dress by New Look. 3. Cutlery set by Mod Cloth. 4. Shirt by J.Crew. 5. Notebook by Sarah Pinto. 6. Polkadot intimates by Madewell. 7. Scarf by Forever 21. 8. Velvet plimsolls by Cath Kidson.